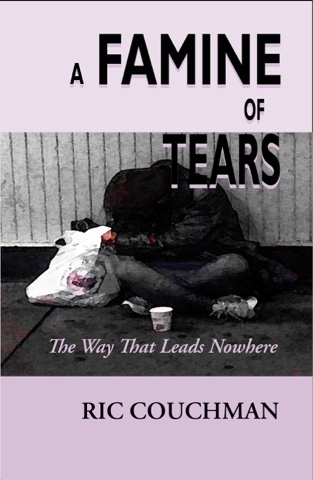 I am very happy to announce the publication of my new book of poetry, A Famine of Tears. My appreciation for poetry began in my high school years. I studied English Literature under the tutelage of my teacher, Ms. Marjorie Cambridge. Her passion for literature was immensely obvious, and I became infected by that passion. Our textbook, The Book of Narrative Verse, provided the material for study. Therein I found Coleridge, Wordsworth, William Blake, Matthew Arnold, and others. But while the curriculum focused on English Literature, Ms. Cambridge made sure that we were also exposed to Guyanese poetry, as well as poetry from the rest of the English-speaking Caribbean. I can see her in my mind's eye reciting "Ole Higue" and holding us spellbound with her dramatic recitation. During that time of literary awakening in high school I never entertained the thought of writing poetry; I simply sought out poetry for my own pleasure and became more caught up in reading any poem I could put my hands on. I discovered my aptitude for crafting poetry only recently, and I attribute that skill to my experience as a student in Ms. Cambridge's class. And so, here I am today with my own published book of poetry, A Famine of Tears. It speaks to the human condition, highlighting our hopes, our fears, our challenges. I hope that you will enjoy the journey on which it will take you and that you will become the better for the experience just as I have benefited from writing it. The book is available in paperback on Amazon. All proceeds from its sale will be used to support the St. John's Bosco Orphanage in my homeland, Guyana. I would love to hear your thoughts on the above post. Be sure to check back soon because I do make every effort to reply in a timely manner. Best regards.